Global commemorations centred on France, the crucible of much of the conflict, where more than 60 heads of state and government assembled at the Arc de Triomphe in Paris, which contains the grave of an unknown soldier of the First World War. 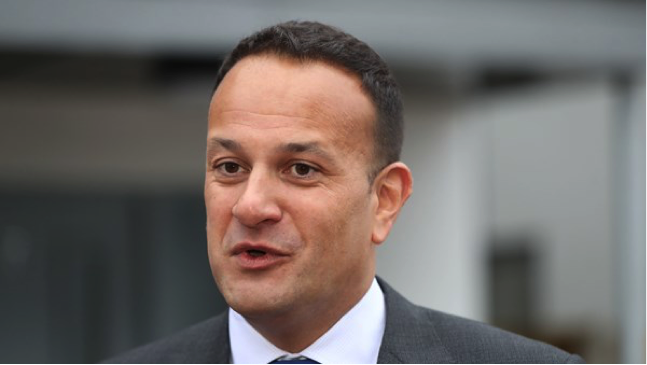 Among those joining the French President, Emmaneul Macron, were President Donald Trump, President Vladimir Putin, Chancellor Angela Merkel, and Taoiseach Leo Varadkar. Letters written by soldiers, after they had received the news of the armistice, were read in a range of different language. Renowned cellist Yo-Yo Ma performed a moving tribute to those killed while fighting for their respective countries. President Macron warned against the dangers of nationalism and said the “ancient demons” that caused World War 1 and millions of deaths are growing stronger. Speaking ahead of the ceremony, the Taoiseach said it was an important reminder about international cooperation. I am honoured to represent Ireland at this commemorative event which marks the end of hostilities in what was one of the greatest tragedies in world history,” he said. I will stand in memory of the more than 200,000 Irishmen who fought in the conflict and the many Irishwomen who witnessed the horrors of war and worked courageously to save lives. Tens of thousands of Irishmen, many of them only in their teens, were killed. Those who did survive returned to a changed Ireland, unable to share their horrific experiences. Through the Decade of Centenaries, their stories have been shared and we have rightly honoured the enormous sacrifice made by those who went to the front. As we face new challenges in the 21st century, we need to work together to achieve peace, stability and prosperity across the world. Through our committed and active membership of the EU and the UN, Ireland will continue to play a leading role in these efforts. 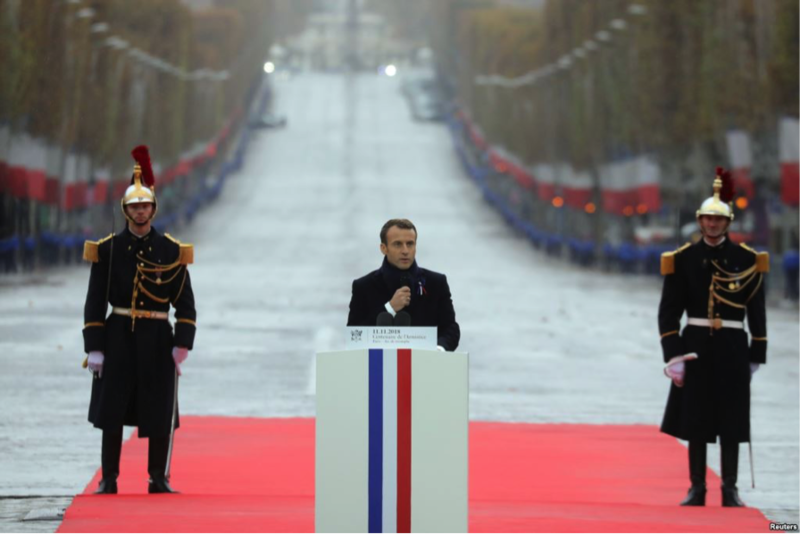 The President of France convened an international forum in Paris on 11 November, to promote peace, 100 years after the guns fell silent in the First World War. The forum was inaugurated by heads of state and representatives of more than 80 countries, who were invited to attend the Armistice Centenary commemorations in France. Warning that peace was again in danger, President Macron called for concrete proposals to drive forward multilateralism and international cooperation. He compared present-day divisions and fears to the nationalism and totalitarianism which had resulted in the Second World War. The forum brought together a wide range of organisations, from governments and UN agencies, to non-governmental organisations and individual experts. Intended to be an annual event, the Forum is part of France’s commemorations marking the 100th anniversary of the Armistice, the ceasefire signed at Compiègne on 11 November 1918 ending the Great War.